My Watermelon Moon: Birthday Blast! Although this plague is holding tight, I ventured out of bed long enough to whip up a quick card for the Peachy Keen Weekly Challenge. I have had my new SOTM stamps for over a week and I have been DYING to use them! Aaaand here is what I made! Can I tell you that the hardest part is getting a decent photo of this? The colors and the sparkles just didn't want to cooperate. 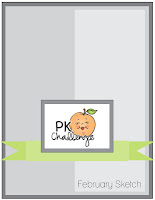 I hope you enjoyed today's little challenge creation, and I hope you get your Peachy Keen Stamps out and enter too! Operation Write Home is in need of kids Birthday cards, and I am guessing boys are the hardest. I plan to use this kit much more for some boys' cards. Aw too cute. Who doesn't love Peachy Keen stamps. Feel better soon. 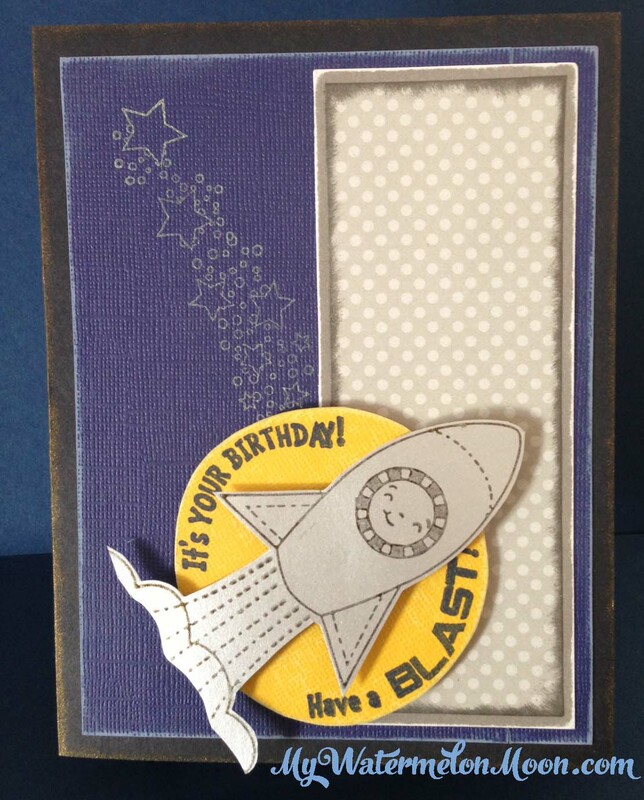 Great little card, looks like it's blasting right off the card! I saw this at PKS! !It's AWESOME!! !Feel Better! Sorry you aren't feeling well, but I am glad you found time to participate in the Peachy Challenge. Great card! Your card is far out! Cute card! Hope you feel better soon Melissa! Fantastic card! The little face in the window is adorable and I love the sentiment around the moon! I hope you're feeling better soon and thanks for playing at Peachy Keen! Super Duper cute! I love the new release this month - I felt the same way as you, I couldn't wait to use mine too.